The culture-crossing drama “East Side Sushi,” starring local actors Yutaka Takeuchi and Diana Elizabeth Torres, will be released Sept. 18 in theaters in several Southern California communities. The film is scheduled to screen at the Laemmle Noho 7 in North Hollywood, the AMC Atlantic Times Square 14 in Monterey Park and the Cinepolis in Pico Rivera. Future showings at the Laemmle Playhouse 7 in Pasadena are pending. The producers of the feature are hoping for a strong turnout, as robust attendance will boost the chances of the movie being shown in theaters nationwide. “East Side Sushi” follows the path of a young woman (Torres) whose sidewalk fruit cart business comes to an abrupt end, forcing her to seek employment elsewhere. She happens upon a sushi restaurant and figures she can work as part of the kitchen staff. There, she is befriended by one of the sushi chefs (Takeuchi) and is absorbed into the world of Japanese cuisine – a world that has traditionally been dominated by men. Tickets for the individual screenings are available at the theaters or at www.Fandango.com. Meanwhile, tickets for screenings of the “Attack on Titan” are available at the film’s website. 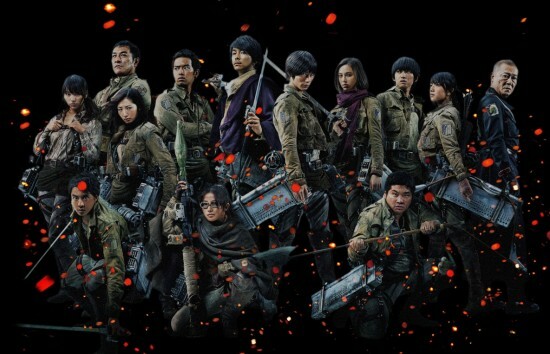 Part 1 of the sci-fi action drama, based on the popular manga series, will play in theaters on Sept. 30, Oct. 1 and 7. Part 2 will screen two weeks later on Oct. 20, 22 and 27. For tickets and a list of theaters and showtimes, visit http://AttackOnTitanTheMovie.com.